Jack & centers around the experience of one man. Jack. His story is unique. He is a baker working the night shift at an industrial facility. He is reintegrating into society after time spent in prison — relearning how to exist in the outside world. He is smart, thoughtful and inquisitive. Jack’s story is also omnipresent. He is a black man in America stuck in a perpetual puzzle. He is being asked to be two things at once. He must balance his personal and cultural identity with the pressures imposed by a country which values conformity over humanity. A culture that is saturated with images of whiteness — portrayed not only as the norm, but the ideal. This performance takes place in three acts on a circular stage. It begins with a monologue which illustrates for the audience a conversation between Jack and his friends. A fish bowl sits on stage and a glimmering flash of gold darts from side to side within it. His speech details their meandering discussion as they contemplate the notions of expectation and responsibility. They tell the story of a man in a New York City apartment, maimed by a full size tiger he had kept as a pet. Who carries the onus of this exchange? The tiger or the owner? Who is really to blame? Next the stage is rearranged, placing the audience on the set of a 1950s sitcom, complete with perfectly coordinated pastel accents and a laugh track. Jack remains the center. The performance becomes dreamlike. Every movement becomes exaggerated and every task comedically challenging. Jill, his wife, played by Stacey Karen Robinson, is the picture of the American housewife. Her high pitched voice, vapid stare and clouded engagement paint her as the loving yet nagging wife with a blissful detachment from reality. Jill, although ever present is never really ‘there’. During this act Jack is tasked with baking a cake for his wife. A simple enough job for us but a series of pitfalls for Jack. The goldfish looks on, perched in its bowl on a nearby shelf. In the classic sitcom matter, one issue after another leave Jack with the wrong ingredients and a huge mess. It seems he was doomed to failure from the very start. His cake is made with vinegar and cream of tartar but ever optimistic, Jack slides the mixture into the oven to bake. Here the performance changes again drifting farther into the unconscious. The two main characters come together in the center of the stage for a formal waltz. Jack & Jill sashay across the circular space, rigid and locked into form. They are both dressed in American formal wear, a gown and a tuxedo. Their overhead visage is projected on a round screen beside them. The ever present goldfish swims frantically around its bowl, projected on the screen behind them. The room begins to fill with smoke as the cake burns in the oven. The characters are engulfed, lost to the audience in plumes of fog. Jack & by Kaneza Schaal is a compelling performance about the experiences of black Americans in a white dominated society. Jack is a metaphor for marginalized Americans, paralyzed by the discrepancies between the expectations imposed on him and his personal desires. He, like the tiger in the apartment, has been contained in an ‘America Dream’ that both does and does not want him. Stuck in this space he can either lash out or conform. Cornell Alston portrays Jack as an everyman, easy going, kind and eager to please the ones he loves. It seems as though Jack is going through the motions, not entirely sure of his direction but determined to live up to outside expectations. We see this is played out in his frantically slap-stick attempt to create a cake. Eager and willing he simply cannot put the pieces together to produce the “right” kind of cake. The performance pulls on iconic cultural tropes to highlight the unwinnable position black Americans are placed in. The sitcoms of the 1950s showed Americans how a ‘normal’ family should look, sound and act. Shows such as Leave it to Beaver and The Donna Reed Show outlined unrealistic and aspirational models and manufactured happiness. Jack in his fumbling attempts to embody this narrative is repeatedly reminded that by the nature of his race in this society he can never truly live up to this idealistic standard. Although society will continually demand it of him, he is fundamentally denied entry into this way of life. This is crux of his and many others’ stories. This concept is taken a step further in the final act. The two main characters waltz across the stage following the elaborate geometric design printed on its surface. Even then, in this otherworldly context the characters are locked into place, going through the motions wearing the clothing of their oppressors. The round screen left of stage brings the metaphor of the goldfish full circle. We see that Jack is the goldfish, observed and contained in this frame. 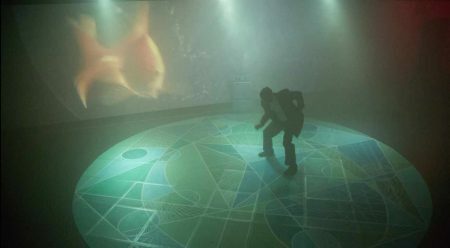 The dual projection of their dancing and the close up of the goldfish bowl ties these two concepts together. As a former prisoner, we know Jack lives in a state of constant vigilance — aware that he is being watched and that his freedoms are limited by his ability to “blend in”. This performance had a lot to say. For all of its provocative imagery and sturdy conceptual core the meat of the message was at times lost in the shuffle. Bouncing between metaphors I found myself putting the pieces together after the performance was over to truly appreciate its meaning. Once outside of it, I can see the strong conceptual elements which run throughout and bring the performance together. In practice, there were too many layers of narrative to fully appreciate its entirety in real time. This topic is complex and nuanced — layered in personal, racial and cultural significance. For its attempt to tackle this in its entirety I give the performance credit, but approaching the material for the first time I struggled to keep up. The set design and art direction of this performance was very compelling. The unique stage was not only interesting to look at but played a constant role in the movement of the actors. Its shape mimicked the fish bowl and its geometric surface design informed their steps. Props, costumes and furniture perfectly embodied the 1950s aesthetic and matched in a sickeningly sweet palette of baby pinks, mint greens and light yellows. The use of projection was key and brought the final act to its crescendo as the room and thus the projection becomes completely veiled in smoke. The dancers are unfazed, dancing through the motions as their home burns down. Jack & is the story of Americans of color who are forced to conform while constantly being reminded of their otherness. In 2018 many white Americans would like to think that these biases are no longer relevant ; however, they are more present now than ever – cloaked in layers of ambiguity. 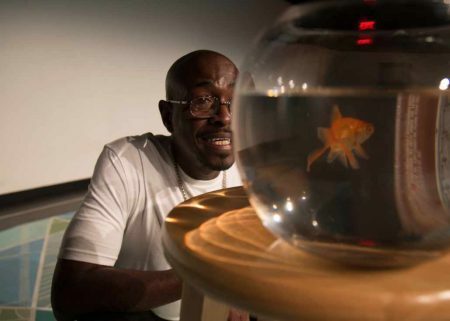 This performance asks us to consider life in this fish bowl. 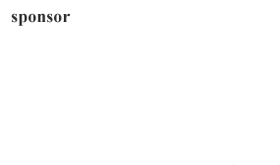 How does this affect each decision, each movement, each step forward? Does one fight against the roles imposed on them risking visibility, even imprisonment? Or does one fit the mold, forever a little bit off, dancing as their house burns down?